On the evening of February 25, the Russian opposition politician Boris Nemtsov came to his friend, Ilya Yashin, to ask for help with his latest investigation: a sensitive report on Russian soldiers secretly fighting in Ukraine. Two days later Nemtsov, a relentless critic of Russian President Vladimir Putin, was brazenly shot dead near the Kremlin as he was walking home. Now, the report that Nemtsov never wrote has been finally completed by a group of opposition activists and journalists led by Yashin, who pieced together the trail that the slain former deputy prime minister left behind. “When he was killed and I’d emerged from the initial shock, I realized it was my duty to the memory of my dead comrade to take this work to its end and publish the report that he began,” Yashin told RFE/RL. The report — titled Putin. War. — has already undergone an initial print run and is set to be presented to the public on May 12. It was seen by RFE/RL on condition that its contents not be disclosed. Initially, Yashin and his colleagues did not know if they had enough material to put the report together. Nemtsov had already sketched out its outlines, contents, and its “ideology.” He had gathered documents pointing to the presence of Russian military hardware in Ukraine and interviewed representatives of several relatives of soldiers killed in eastern Ukraine, Yashin says. But much of this small archive disappeared after his assassination, in which five suspects from the Russian North Caucasus region of Chechnya are suspected of involvement. Putin’s critics fear the investigation may never uncover who was behind the killing because the trail could lead too close to the Kremlin. After Nemstov was dead, investigators swept his apartment, confiscating computers, hard drives, contact books, and notebooks, his friends say. These documents included mere scraps, such as the handwritten note Nemtsov passed to his assistant, Olga Shorina, on the eve of his assassination, Yashin said. The Kremlin has repeatedly rejected accusations by Kyiv and Western governments that Russia is providing weapons and personnel to separatists battling Ukrainian forces in eastern Ukraine. Yashin says he and his team managed to get in touch with all of Nemtsov’s contacts, but that persuading them to go on the record proved to be an insurmountable challenge. 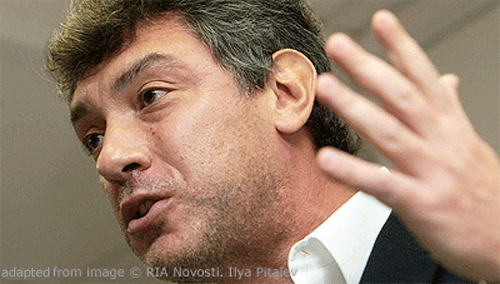 “As you can imagine, the death of Nemtsov did not make them bolder,” he said. “We spoke to them, and we really did get specific, really important information from them, but they categorically declined to speak publicly,” Yashin added. Their efforts were ultimately futile, he says. “This wall of fear that we came up against was probably the biggest problem,” he said. The report is set to be presented to journalists and activists on May 12 at the Moscow headquarters of the political party Nemtsov co-founded, RPR-PARNAS. Much of the material appears to rely on open sources, as did the eight previous reports that Nemtsov published on issues such as corruption and the Sochi Winter Olympics in his crusade against Putin. 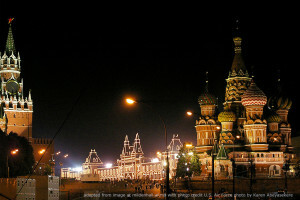 Opposition activists and well-known Russia journalists were brought in to contribute to the report. They included Ilya Barabanov of the newspaper Kommersant, who has produced resonant articles from war-torn eastern Ukraine, as well as Lev Shlosberg, a member of the liberal opposition Yabloko party in the western city of Pskov. Shlosberg was badly beaten by unidentified men after he exposed secret funerals of two soldiers killed fighting in Ukraine. Yashin said that he and his colleagues have invested in a preliminary print run of 3,000 copies of the report, which will also be posted online. He intends to raise money online to fund a planned first mass print run later this month, though past experience suggests circulating Nemtsov’s report may be difficult. 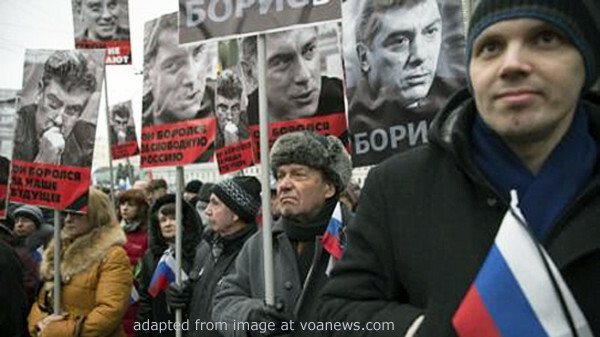 In 2010, police seized a car containing 100,000 copies of Nemtsov’s joint report on the boom in corruption during Putin’s first 10 years in power. The report’s website was also hit by cyberattacks. Nemtsov’s assassination on February 27 provoked an outpouring of grief, particularly in Moscow where mounds of flowers and photographs still adorn the spot where he was killed. 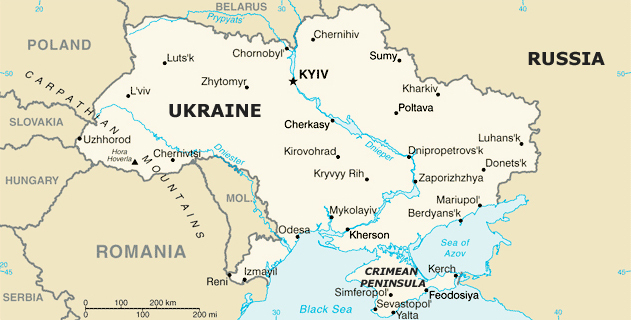 Overall, however, polls show that the overwhelming majority of Russians support Putin’s policies in Ukraine. Nonetheless, Yashin was adamant that the report will make a splash.